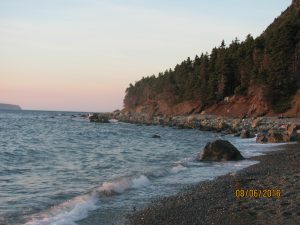 This is a beautiful sunny day here in Con Bay south. The temperature is minus 7 with little wind, however; according to the forecast, we are in for a blizzard. I will try and get a few before and after photos. 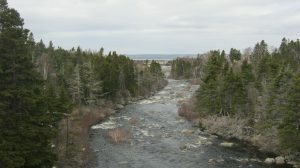 Took a drive to Seal Cove and back down to Worsley’s Park with a stop at Manuel’s River. There were a few people skating or playing hockey on the various ponds. Met a few people on the Manuel’s River walking trail. It appeared to be slippery so I just stayed near the falls.